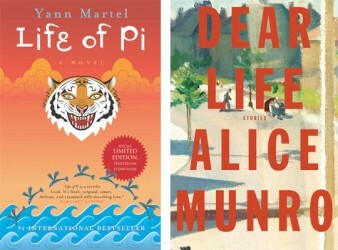 Random House of Canada has published special collectors’ editions of Yann Martel’s Life of Pi and Alice Munro’s Dear Life printed on paper made from straw rather than trees. The Vancouver-based environmental organization Canopy worked with Random House and its imprint McClelland & Stewart to produce the special editions as way to raise awareness of alternative papers and to encourage the development of commercial-scale development of straw-based papers. “Now more than at any other time in our history, we need to bring our intelligence and imagination to sustain our life support systems,” Munro commented. She praised Canopy for working “with a pure passion and unwavering conviction” to protect forests and inspire innovation. The signed special editions are printed on paper that combines chlorine-free wheat and flax straw with post-consumer recycled content. The flax-straw came from and was processed by Canopy’s technical partners, Alberta Innovates. The paper was produced by Quebec’s Cascades. The printer for Life of Pi was Friesens in Manitboa and Toronto-based Webcom produced Munro’s Dear Life. Piscine Molitor Patel, better known as Pi to his friends and family, spent 227 days on a lifeboat, floating across the Pacific Ocean, his only company a Bengal tiger named Richard Parker. 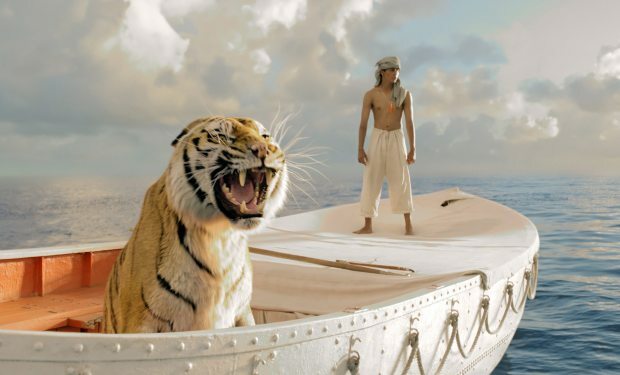 The film version of Life of Pi floated aimlessly for ten times as long. Rumours about a possible film adaptation began to swirl almost as soon as the novel won the Man Booker Prize in 2002. Directors M. Night Shyamalan (The Sixth Sense), Alfonso Cuarón (Children of Men) and Jean-Pierre Jeunet (Amélie) were all attached at one point or another, before Ang Lee (Brokeback Mountain) came aboard. His film opens in theatres on Wednesday, and it was worth the wait. Mark Medley recently chatted with the book’s author, Yann Martel, from his home in Saskatoon.